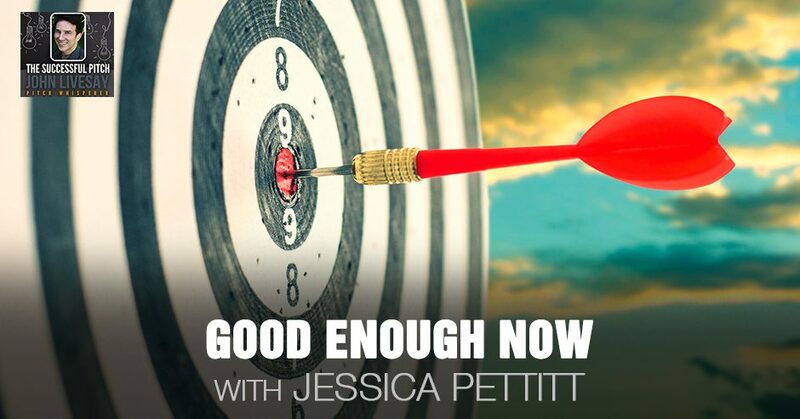 Instead of sitting around pointing fingers and waiting for change to somehow magically appear, which never happens, a lot of people are looking for, “What can I do to make myself have better relationships and stronger teamwork?” Jessica Pettitt, author of Good Enough Now, provides some great insights on how to be a better leader and how to have difficult conversations with your team. Jessica compares Martin Luther King to Gandhi and to Mother Theresa, looking at what they have and don’t have in common. Discover lessons we can learn from how they led their life in getting us to a place where we’re more collaborative and diverse. Our guest is Jess Pettitt. She pulls together her standup comedy with over fifteen years of diversity training in a wide range of organizations that serves groups to move from abstract fears to actionable habits that lead teams to want to work together. 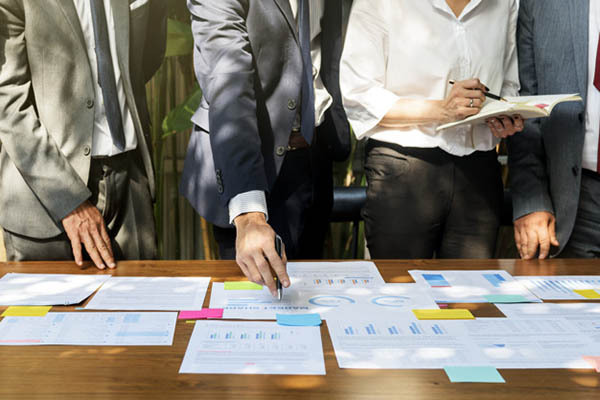 With a sense of belonging and understanding, colleagues take on more risks and they conserve resources through collaboration and maintain those all-important connections with clients over time. She’s got a great book out called Good Enough Now, which I love. Instead of sitting around pointing fingers and waiting for change to somehow magically appear, which never happens, a lot of people are looking for, “What can I do to make myself have better relationships and stronger teamwork?” She’s got this nailed. We’re in for a big treat. Jess, welcome to the show. Jess, I always love to ask my guests their own story of origins. You can go back as far as you want, a little girl, high school or college, whenever it was that you had your first insights as to, “I want to solve a problem of not feeling good enough, self-doubt, help others do it,” however you want to start. How did you come up with this concept and how did you come up with who you are today? Two pieces converged and ended up in the book. I would say it was a cold fall football night in September of 1974. As a kid growing up in Texas, I was very aware at a very early age and lucky enough to have parents who were very supportive that there is a certain script that I was supposed to conform to. No one could tell me who wrote the script, why I was supposed to be doing these things or did I have any input in what I was supposed to be doing, which largely made me question authority and think it was stupid. If you can’t tell me where it comes from, I’m not doing it. I was fortunate that I was raised by parents where any question I had, they would show me the section in the library of what to read, how to do research and discover my own answers. The most positive memories I have of my parents is when I would be doing research on something difficult and realize that either things that supposedly were very diabolically opposite each other were saying very similar things or that people who were trying to support each other were motivated by very different things. Those are fundamental learnings and I’ve taken them through my professional life, through high school, college, serving in the Peace Corps as a college administrator and then when I started my own business as a speaker or consultant years ago. I notice inconsistencies, I notice unfairness, I notice injustice and I notice the patterns of those things, which has led me very much to the work that I do around diversity and inclusion. There’s a pattern of our excuses, there’s a pattern of our engagement and there’s a pattern of paralysis that most of us find ourselves when it comes to contentious topics. That’s where I dive in. You go where other people are afraid to go, it sounds like. That’s where I live. It’s not even a summer home. It’s my home. You were in the Peace Corps and then you had a standup comedy career. Are you still doing that and keynote speaking or are you just doing keynotes? I do probably about 75% keynotes and maybe about 25% annual or year-long retainer-consultant work. I’m assuming because you have a comedy background, that your talks, while they’re an intense topic, there’s still some humor you bring to it. I use a lot of humor because it’s the greatest equalizer and if everybody can laugh, no matter how different someone’s opinions are, then I get to go one level even deeper and I keep it going. I love how you say on your website, Good Enough Now, “I struggle being called a thought leader, I like to think that I make leaders think.” What’s the one thing that you find that leaders are not thinking about that they should be thinking about? Good Enough Now: There’s a pattern of paralysis that most of us find ourselves when it comes to contentious topics. Can you give me an example of what they’re not thinking about? If we take a typical diversity and inclusion conversation, part of the reason why diversity trainings don’t work is that the approach is all about adding new things in. If you’re adding new things into a broken system or something that’s not inclusive, then you’re just decorating, which is making you spend time, money and resources pretending that you’re doing something when you’re just making it worse. The first step in having a diversity and inclusion conversation or initiative is to have a conversation and be intentional and thoughtful about what are you excluding. Once you know what you’re excluding, you get to pick and choose what you want to keep excluding and where you need to work. When you know where you need to do some work, then you can start doing some outreach in those areas, but that’s not where most people start. They start at wall hangings and murals. One of the things that you talk about in your book is how we can be more curious and authentic without feeling the pressure to cover up who we are, so we fit in with the rest. Can you expand on that? The idea of authenticity is there is a way that it’s being approached that it’s yet another veneer you’re supposed to have so that you appear that you are being real, which is the least authentic thing you can possibly do. There is a difference between being authentic and being able to also be a private person. I’m a pretty authentic person and there’s a lot of my personal life that is not available for public consumption. I can be honest about that. I don’t have to shift back and forth between being secretive and inauthentic or private and authentic. You have this great freebie you’re offering our audience and it’s all about having conversations that matter. Everyone is so sick of having these cocktail conversations about sports and the weather and never talking about anything that matters, yet afraid to talk about politics or #MeToo or whatever else is going on in the world that makes everybody not even know how to even start to have a conversation that matters. You’ve got some pros and cons of having that. Can you start there with us when you’re talking about the difference between something that’s attentive and focused versus something that’s overconfident and resistant? What you’re pulling from is a handout and anybody’s welcome to go there. GoodEnoughNow.com/Freebies is the collection of all the handouts and activities in my book. I’m one of those people that don’t like to write in books. It’s very strange when people ask me to sign their books. Those are all the handouts. The one that you’re referencing is a chart that I’ve pulled together from multiple years of participants of the pros and cons that fit into a model I have of how people tend to show up. I believe one of the big tenets that I have is that you are responsible for who and how you are when you show up in all of your relationships, whether they are someone you will never see again or someone you have a long-term relationship with. They’re all moments of connection and you’re either heady, hardy or action-oriented in how your lived experiences have taught you to be. Once you know where you fit in, there are pros and cons to all of those ways. Everybody is a frustrating person. If we spend time only focusing on, “How do I make Todd less frustrating?” You’ve already learned you can’t control Todd, so why don’t you figure out how you’re frustrating and do something about that? That particular chart pulls together the common pros and cons of probably 40 to 50 different participants that have done the interactive activity. I see patterns, they’re very similar answers that come up to what’s annoying about all different kinds of people. Once you can identify yourself, then you can know what’s annoying about you. If people are interested, you can either download the app, which is free. It’s Jessica Pettitt. You can go to GoodEnoughNow.com/Survey and take a baker’s dozen quiz and it’ll help you identify if you tend to lean more head, hearty or action. That’s free too. On the same handout, you’re talking about Martin Luther King, Mother Teresa and Gandhi. I would tend to think that Mother Teresa and Gandhi, in particular, would have a lot of things in common as it relates to head, heart and action, but you’ve identified that they are slightly different. Let’s talk about the two of them so we can bring this head, heart, action stuff to life for people. All three of them are the archetypes. I’ve discussed in the book that you typically show up using two of the variables leaving the third to dangle. Those three people are where I’ve done all of my research about what was frustrating about them, why they were annoying to work with and yet they were still able to do good work. Martin Luther King, I would say his strongest variable is the heart, which doesn’t necessarily mean emotions or like paternalism or something. It means a connection to something larger than yourself. Certainly, his speech is an example of that. He had a dream, not a plan. He was super charismatic but was completely dependent on other people to do the stuff. Most leaders that are the face of movements or nonprofits or even corporations often are a heart-action person like Martin Luther King and are grateful for the people scurrying around behind them. Most politicians, even though their political views may differ, the way they respond to things in the world are very similar, which is why Bernie Sanders and Donald Trump are very similar in how they grasped toward systems to connect within the model. You have Mother Theresa, who is very heady, which is very detail oriented. Because she’s a head-heart person, she can get very stuck in a spin cycle, questioning everything, never landing on an answer, not sure what to do, that inaction-action response. Until in her work, she eventually realized that she could build a school. Once she knew what to do, then she was able to show up in her trifecta, which I talk about is where you’re the most powerful. Gandhi, I would say, is very action oriented first, which is why he had an ego big enough to think that his own, individual hunger strike would be effective enough to overthrow a government. It wasn’t until I identify very similar as a head-action person like Gandhi. It’s when we stumble into our heart parts, Gandhi had a sense of compassion that his work would impact people who weren’t even born yet. When he was able to stumble into that kind of third place, then his work became much more impactful. It’s the same thing with me. Tell your story a little bit. What did you do? What was your discovery there? For me, as a head-action person, I tend to be detail-oriented and I get hung up on details. I tend to act and ask questions later, which can make working with me annoying because someone always has to come up behind me and clean up. Usually, personal relationships are the first things that I damage or wreck. When I’m coming from a place of excuses, I often feel like a fraud or that someone’s going to find out that I am not supposed to be here. Every time I feel like I’m going to quit or not do something again, I get one email or one phone call or one participant who tells me that what I did mattered. That’s more motivating to me than cashing a check or closing a deal or something like that. That’s my third place. I can relate to this imposter syndrome that you’re alluding to where you feel like, “I’m not good enough.” I have had this challenge my whole career myself. I was fortunate enough to be part of the Coca-Cola CMO Summit and I was looking at the bios of all the other speakers, Harvard, New York Times bestsellers, all these credentials. I thought to myself, “I did not go to an Ivy League school. I have a book but it’s not a New York Times bestseller. What am I doing here? Is the person who invited me going to get in trouble?” Then I realized I have to trust that she knows what she’s doing. She must have seen something in my sizzle video demo reel that she liked. I got very quiet and I thought to myself, “What do I care about when I’m listening to somebody talk? Do I care where they went to school?” No. “Do they care how many books they sold?” Not really. I care about how they make me feel and maybe how I might want to learn to do something differently after I hear them speak. That’s what got me re-centered. I wondered if you have your own little journey of what you do when any of those self-doubts come up. What you’re talking about ultimately is practicing an exercise of self-reflection. It’s noticing those patterns like, “That thing is happening again. Let’s review. What happened the last time I did that thing? Did that work out the way I like? No. Do I want to try it again? Sure, why not? It’s a habit. It turns out exactly the same way. Do I want to try something different? I don’t know. That’s scary. I’ve never done something different.” That conversation you can have with yourself burdens you with your own growth, not the person that you’re trying to engage with. We’ve got this wonderful flowchart about if we have better conversations, we have better connections and then that turns out to allow us to reclaim the responsibility of what kind of impact we’re having. Can you expand on that? It’s a chart that’s also at the freebies thing to download and it’s at the end of the book the, “Now what?” When you know that you’re about to have a challenging conversation or send a hard email or have a hard phone call, what I recommend is practicing. Ideally if you can practice this before you need it, then you could practice it at the dry cleaner’s or the barista or with your dog. If you decide you’re going to have a better connection, that’s more important to have a first step than even having an intentional conversation. You decide, “I’m going to try and connect with this human.” You’re not entitled to them also playing along and you don’t need them to play along. You can practice this as one person. If you decide you’re going to try and have a better connection, it’ll either work or it won’t, then you can have an intentional conversation and the first step is to listen, not speak. Listen. See where they’re coming from, what kind of space are they in, what’s happening for the other person. Then you form your message. You deliver your message, you take responsibility for if it worked or it didn’t work, and then you decide what kind of meaning that impact has or doesn’t have on the connection that you’re trying to make with that human being, then you repeat the process. 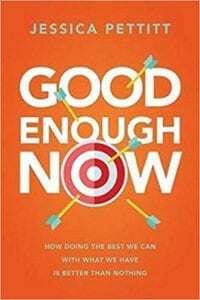 Good Enough Now: When you know that you’re about to have a challenging conversation or send a hard email or have a hard phone call, practice. Let’s double-click on the difference between our intention and the impact we have. You’re a comedian. Sometimes you tell a funny joke about divorce and it doesn’t land. The impact is because somebody just got divorce papers. As they say in comedy sometimes, “It’s too soon.” People talk about intention all the time, “It wasn’t my intention to hurt you,” and I’m like, “Yes but that doesn’t get you off the hook the fact that you did something that wasn’t kind or considerate. That’s not the excuse that you can have.” I want to have you talk about how you came up with this. Was it just noticing behavior? What’s the big takeaway for our audience and how can they be more cognizant of the impact they’re having? In diversity work, we talk about intention and impact a lot. We only set it up with well-meaning intentions and not meaning a certain impact like, “Oops, sorry.” The worksheet that you’re referencing, it can be congruent or incongruent and it can be positive or negative. The example that you used about divorce is when I see a friend I haven’t seen in a while, I haven’t talked to in a while, I might crack a joke about something and I don’t know that they were just handed divorce papers so it’s bad timing. Last week they would have thought it was funny, but you don’t know everything. Does that mean you should never crack a joke again? No. It means sometimes you’re going to get it wrong, but there are other times where you could mean something negatively and it lands positively. I think of parents a lot with this. I know parents are stressed out about how to discipline a kid for doing something. They haven’t ever done it before. They don’t know what to do and they’re comparing it to what their parents would do. They either do or don’t want to continue the patterns of the kids’ grandparents even though that relationship is very different. As someone who doesn’t have children, I process this with parents all the time so they eventually come up with what they’re going to do and it turns out that the kid loves it. They wanted it to be a punishment and the kid’s like, “Awesome.” That’s exactly the same situation. It’s an unintended impact, so what do you do? Sometimes it’s congruent. The key is to notice your own patterns and figure out what you’re going to do because it’s the connection that matters, not the consistency of you being able to have the impact you’re looking for. One of the things that people have to deal with all the time, especially if you’re in the management of any kind, is making the decision to fire or let someone go. Let’s say firing for cause or not being a good fit or someone’s on a 90-day probationary period. You didn’t give them a lot of training, you hope that they would figure it out but they haven’t. They don’t have critical thinking skills and no amount of training can fix it. What advice do you have for people when they have to let people go? Before doing it, figure out why you’re letting them go. Is it about you or is it about them? The next thing I would say is if it is about them, do they know this and see it coming? If you can answer that question, then you’ve done the preparation you need in order to have what might be a challenging conversation. You can turn the challenging conversation into coaching someone into an awesome next opportunity, letting someone go who doesn’t want to be there in the first place, standing up for the rest of the people in the office so that there’s a bigger positive that comes from addressing a problem and listening to the other people in the space, and/or providing the space to have a conversation where that person gets to break the news that they want to quit. This concept of, “Do people see it coming?” My experience is more than half of the people don’t see it coming. You give them warnings and then when it comes to having that tough conversation of, “We’ve made the decision. We’re going to let you go today,” most people go into shock. Have you found that? I don’t think I know what you mean. That’s a different form of communication. If you don’t have the kind of relationship with someone to know what is or isn’t going to happen, you can’t make anybody else do anything else so that goes back to you. If your employee is shocked about anything that you’re doing, it’s because they didn’t see it coming. Why would you do something with someone who you work with intimately or you collaborate with intimately that would be shocking? If it is shocking, you have work to do far bigger than the person who is shocked by whatever you’re doing. As a leader, you’re not communicating your expectations clearly enough for them to realize, “If I don’t make them, there are going to be consequences,” is what I hear you saying. You are also an expert on building better teams. Can you leave us with an upbeat tip on how we can build better teams? Let’s go back to Martin Luther King, Gandhi and Mother Teresa. First off, Gandhi’s work inspired Mother Teresa and Martin Luther King. Gandhi and Martin Luther King were both assassinated. Martin Luther King was assassinated by someone outside of his work. Gandhi was assassinated by one of his own group members because that’s how you know you’re that frustrating to work with. From what we can tell, Mother Teresa died of natural causes. All three were horrifically annoying, frustrating people that the more you know about them, the more you’re like, “This could be a despicable human being,” and they were able to do good work or at least take credit for really good work that groups of people did that made a lasting change that surpassed their life and impacted their legacy. Good Enough Now: The team that is usually perceived as not high functioning usually are widely diverse and have all kinds of ideas and inspiration. In any given team, often when I come in, one of the first things that I do is doing an assessment of where people fit into the model. Usually the leadership will tell me, “This team is high-functioning but this team isn’t.” It turns out that what they think is the high-functioning teams are all very similarly placed in the model. They are bored, they’re in a routine, they are not creative, they are not innovative and if you were to hire a new person and put them into that group, they would completely fall apart and have no idea what to do. The teams that are usually perceived as not high-functioning usually are widely diverse, have all kinds of ideas and inspiration and if rewarded or able to have the kind of space, would be the most creative and most innovative with the current budget freezing of who or what resources they can use. Whatever underwhelming situation in particular organization is in, what is often described as the least functioning group are the most diverse within the model therefore whatever decisions they make will actually have better long-lasting outcomes. If I take a search committee, if you have all head-action people, which are usually the people who are voluntold to be on search committees, the group of head-action people is all going to hire another head-action person. They like them. They fit in. “I could go have a beer with them,” whatever that means. This is subjective stuff. That makes it even worse because they’re all exactly the same. What you need is to get rid of all that, have three really strong people from each of the three different places on the model. If they can agree on someone to hire, that’s going to be a better hire that can navigate and fit in with more people at work. Therefore, they’re going to feel more connected like they belonged there, which is a retention tool. You’re not going to have to hire a new person for a while. That’s a great takeaway that the better you are at building a great team and keeping those people happy, it impacts your bottom line without having to have all the turnover costs that people don’t even begin to realize how expensive that is in terms of time, training and productivity. It’s been a pleasure having you on the show, Jess. Again, the book is called? How can people follow you on social media and all that good stuff? I’ve got an Instagram account. It’s called @GoodEnoughNow. Otherwise, it’s Jess Pettitt on Facebook, LinkedIn, Twitter. Anything I can ever do to help any of your audience, my main mission in life is not the idea of Good Enough Now, it is how to do the best you can with what you’ve got some of the time. That is how to have better teams and do better work. You’re the right person to take it out into the world. Thanks again for sharing your wisdom and passion.